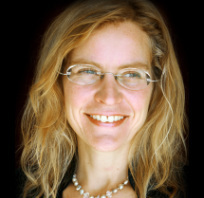 Dr. Claudia Welch is a Doctor of Oriental Medicine and a practitioner of Ayurvedic medicine. She is an author of Eastern medicine and philosophy. She serves on the teaching faculty of The Ayurvedic Institute and the Kripalu School of Ayurveda. Dr. Welch regularly lectures on Oriental and Ayurvedic medicines internationally and brings a depth of knowledge and a sense of joy to her presentations.